This stacking tower toy by IQ Baby is a toddler construction kit, light & sound toy, manipulative activity set and ball rolling toy - all in one! Build, roll, and watch it tumble! 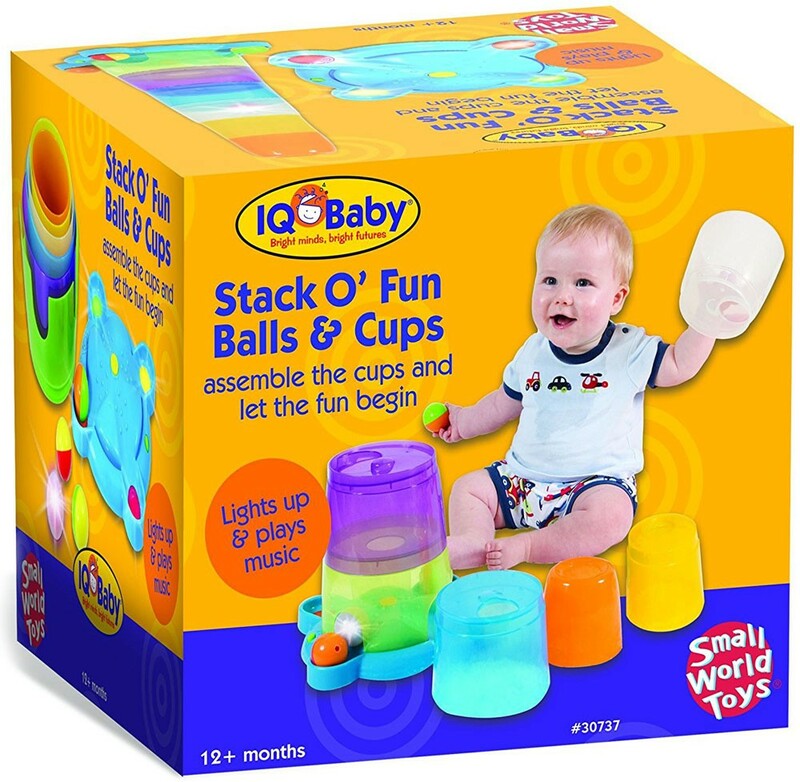 The Stack o' Fun Balls & Cups Stacking Toy by IQ Baby is a unique construction kit and activity set all in one. 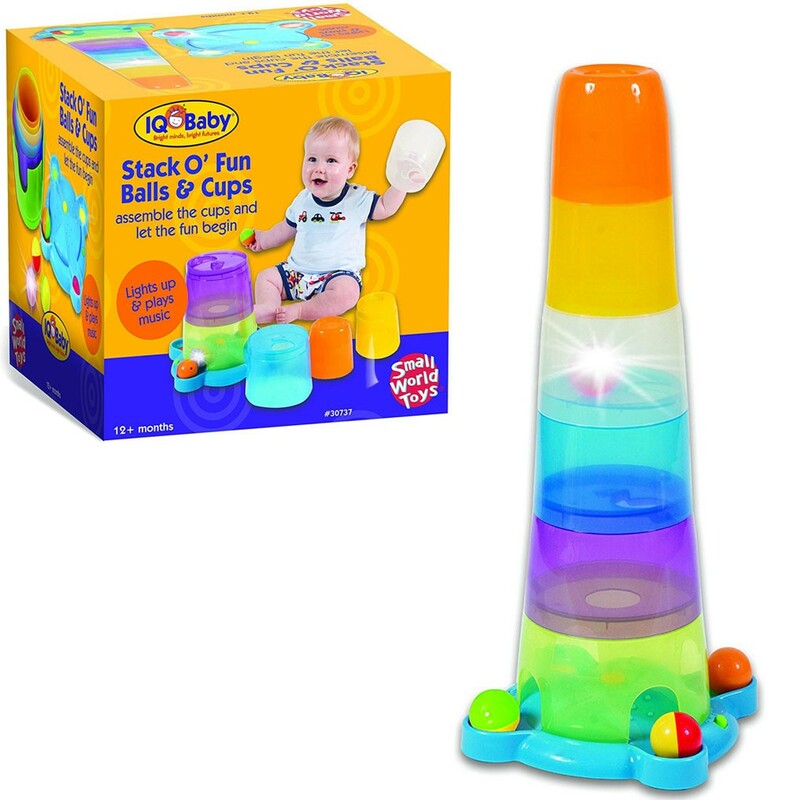 This toddlers stacking toy set from Educational Toys Planet features 6 easy to stack translucent cups that form a tower over 2 feet tall. 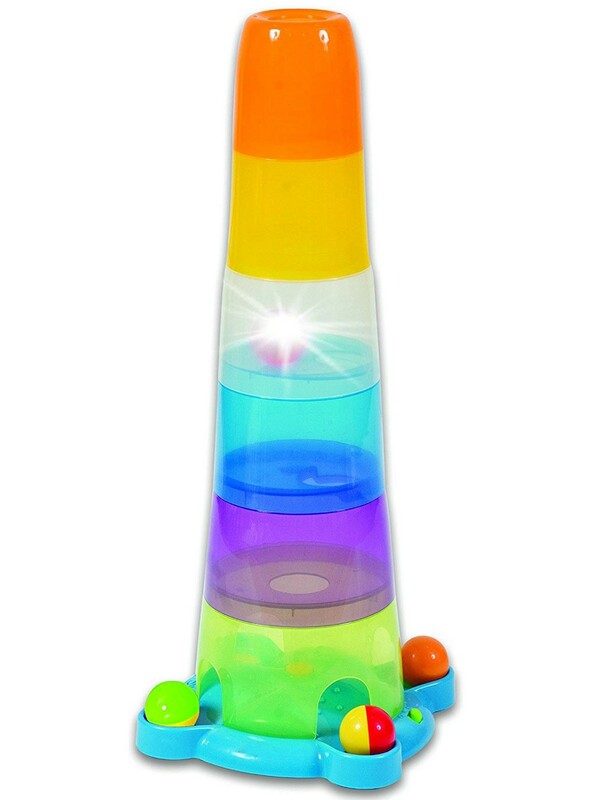 Once you've built your towering masterpiece, roll the 4 colorful balls into the top of the tower, and watch them tumble all the way to the bottom! One of the fun balls features a flashing light. 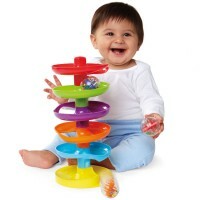 The stack and roll activity set includes a music playing platform that plays musical melodies and makes silly sounds when as the balls hit the base. 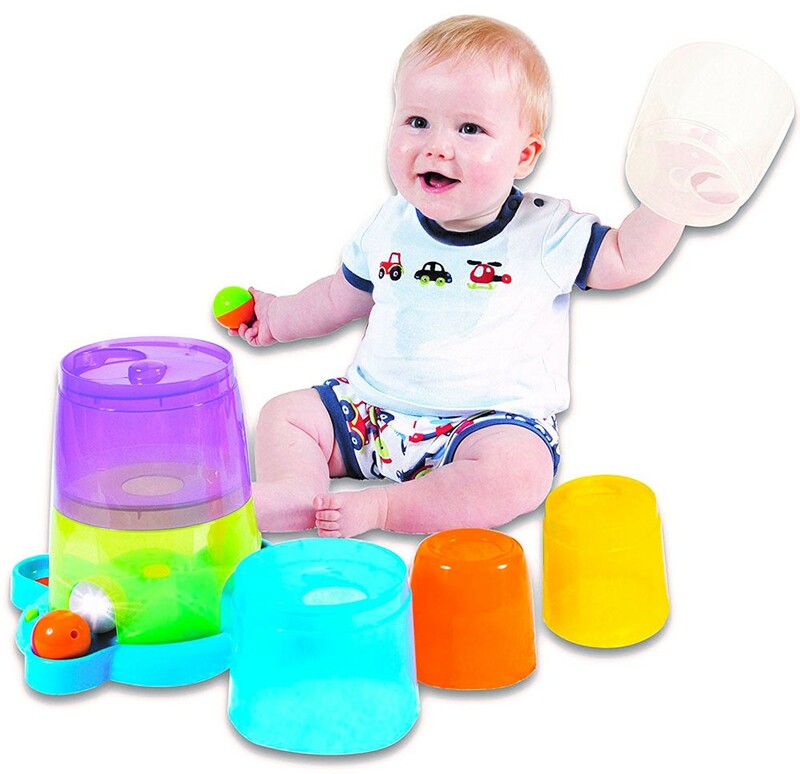 All pieces are made of easy-to-clean lightweight plastic. 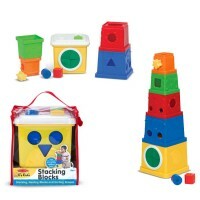 This fun toddler activity set is great for developing physical skills, balance, cognitive skills, and problem solving skills. 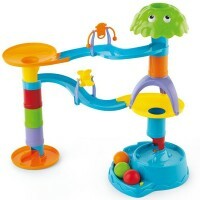 Platform requires 2 AA batteries (not included). 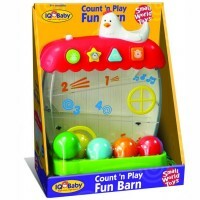 Flashing ball requires 2 AG13 batteries (included & non-replaceable). 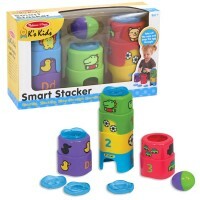 Dimensions of package 9.5" x 9.5" x 8.5"
Write your own review of Stack o' Fun Balls & Cups Stacking Toy. 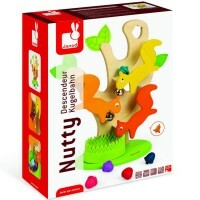 Rating: 5 fun by barry our grandson loves it. He goes on and on with it.